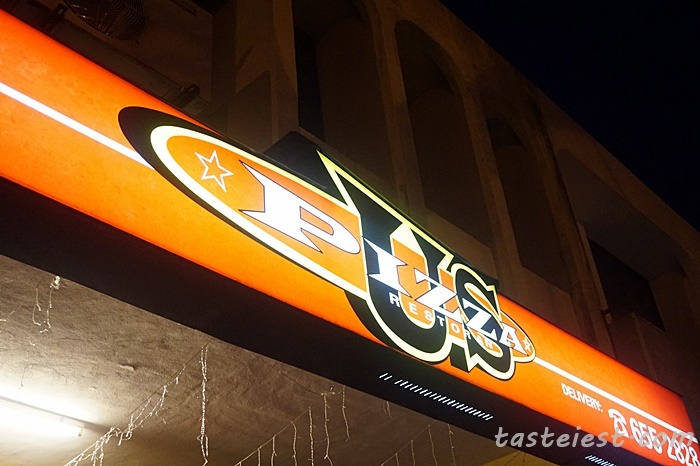 US Pizza has established in Penang since 1997 for 18 years and all of us must have eat at least one slice of their pizza before. 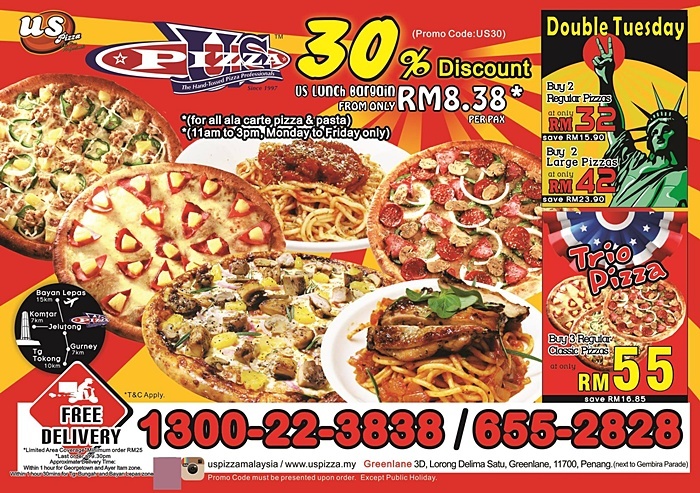 One thing we like about US Pizza is their free delivery service for order over RM25, we can easily order more than RM25. 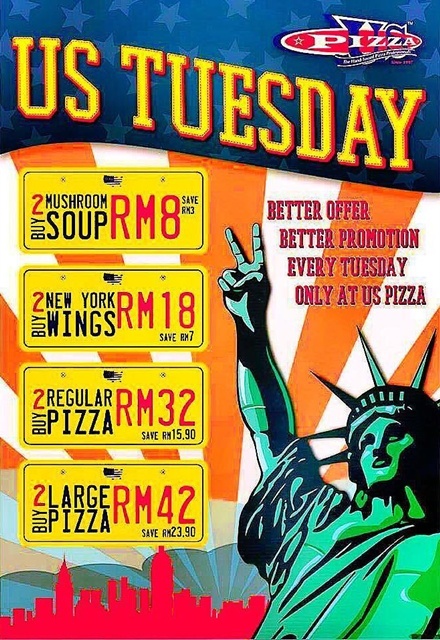 Every Tuesday is our US Pizza day where we will order 2 Large Pizza for just RM42 (Saving of RM23.90), that 2 large pizza is enough for my whole family dinner and we love it so much. 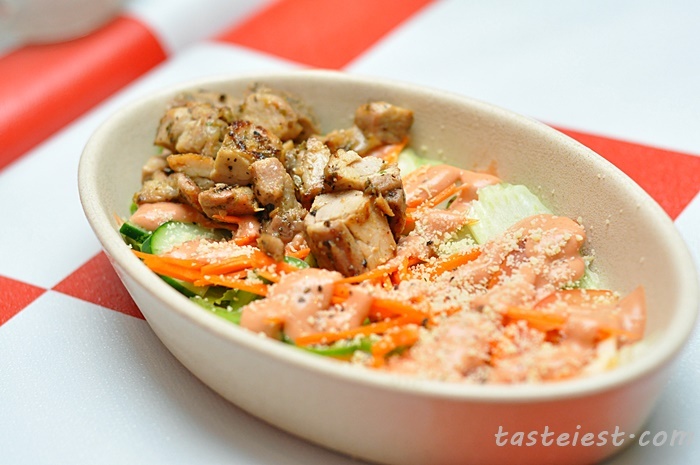 Italian Grilled Chicken Salad RM12.50, a mixture of mushroom, cucumber and lettuce served with generous amount of marinated chicken. Chicken are nicely cook to flavor but sadly lettuce a little bit less. Cinnamon Twisty Bread RM3.95 and Crazi Garlic Twist Bread RM3.95, personally I found Garlic Twist Bread to be very delicious. 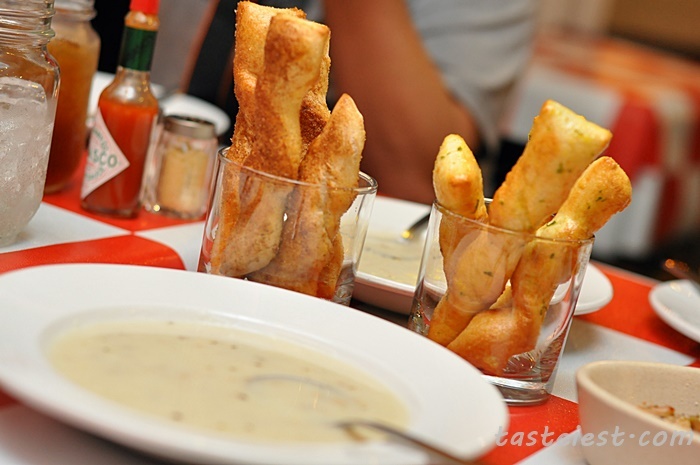 Bread are nicely done to texture, it has a little bit chewy texture but the important still the strong garlic fragrance which make it taste good. 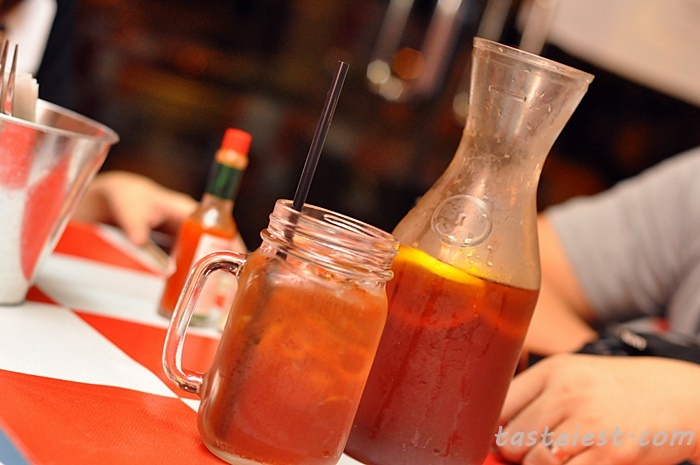 Cinnamon are very special as well, it has mild sweetness and great in flavor. 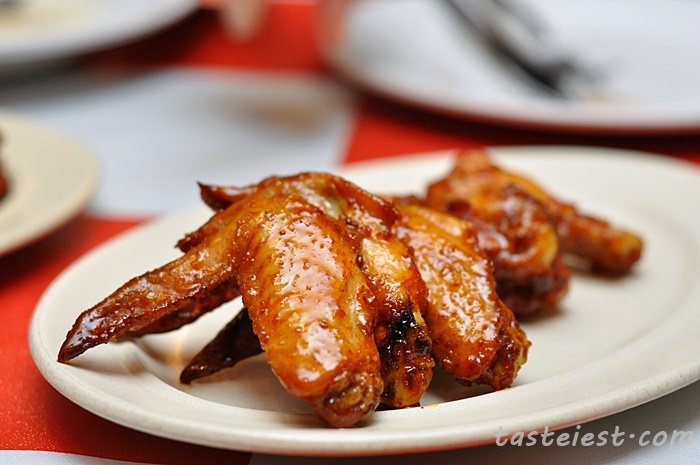 Florida Honey Wings RM13.95 （8pcs）and New York Wings RM13.95 （8pcs）, marinated chicken wing deep fried and coated with a layer of honey/BBQ sauce. 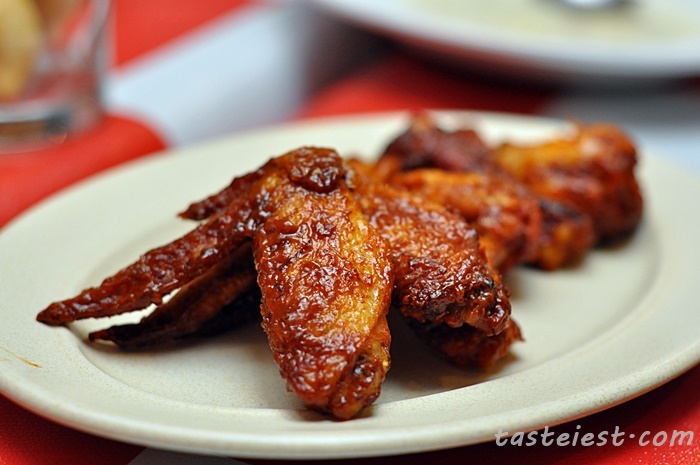 It has crispy skin with juicy meat, coating sauce are balanced in flavor. 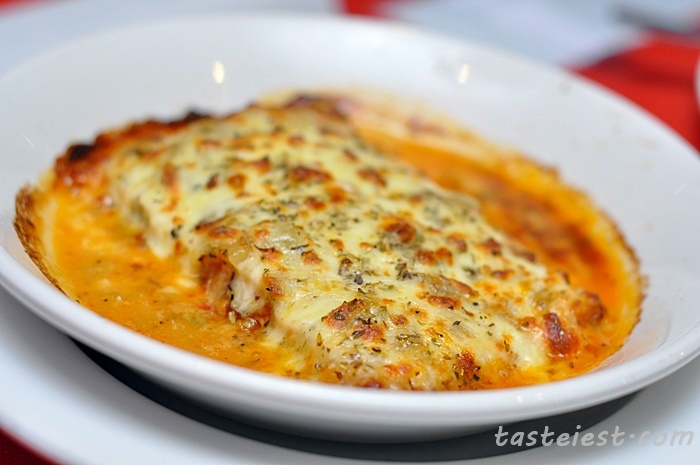 Chicken Lasagna RM19.50, instead of typical lasagna noodle they home made fresh lasagna noodle and mix with 3 different sauce to create this perfect plate of Lasagna. 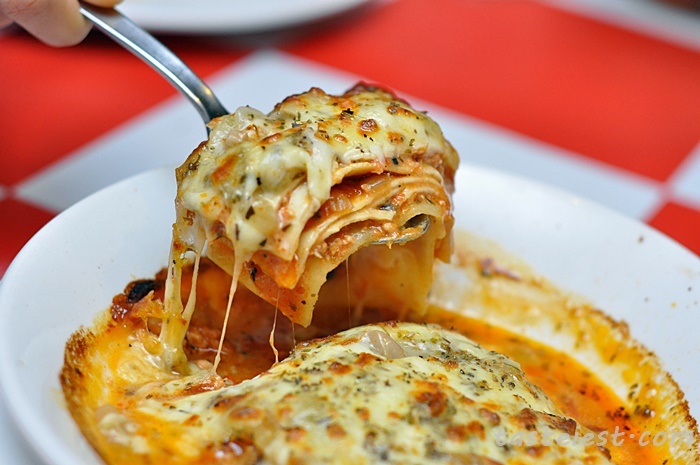 It doesn’t taste as creamy as other Lasagna instead it has sourish taste that balanced the flavor. Lasagna noodle are nicely done to texture which are not chewy and eating with chicken minced is just perfect. 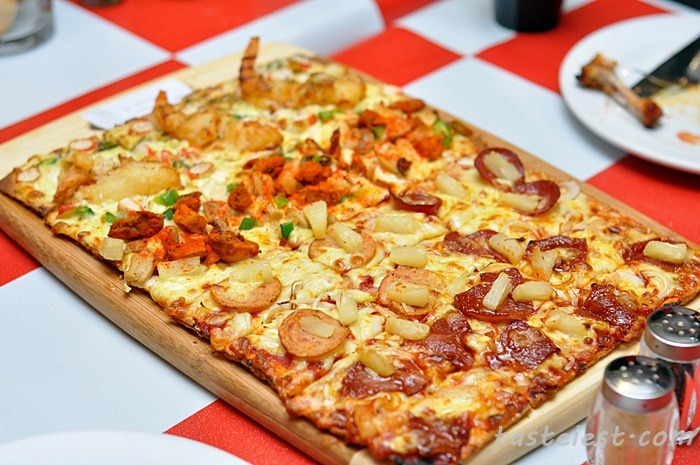 San Francisco Fabulous 4 RM38 Promotion (Standard Price RM52.95), this big square pizza consist of 4 different flavor that are Smoked Duck, Pepperoni, Tempura Prawn and Spicy Chicken. Definitely more than enough to feed a couple of adult, among those 4 flavor I found the Smoked Duck to be the best in flavor follow by Pepperoni, Tempura Prawn and Spicy Chicken. 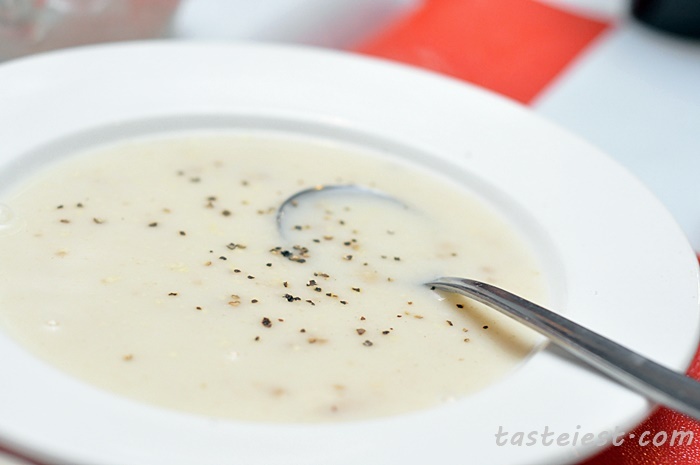 Smoked Duck taste a little bit sweet but has strong duck frangrance. 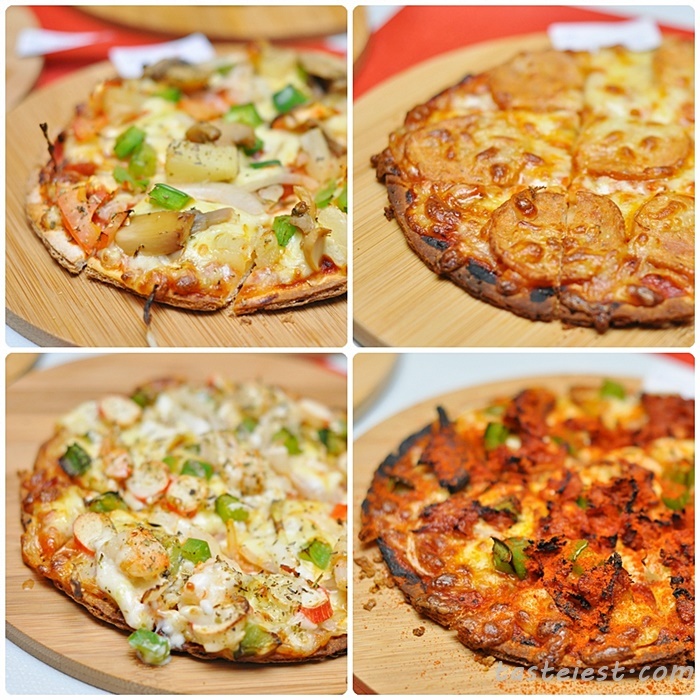 6″ Crunchy Pizza RM12.95, a total of 17 flavors pizza to be choose from menu and all come with thin crust that is so crispy. 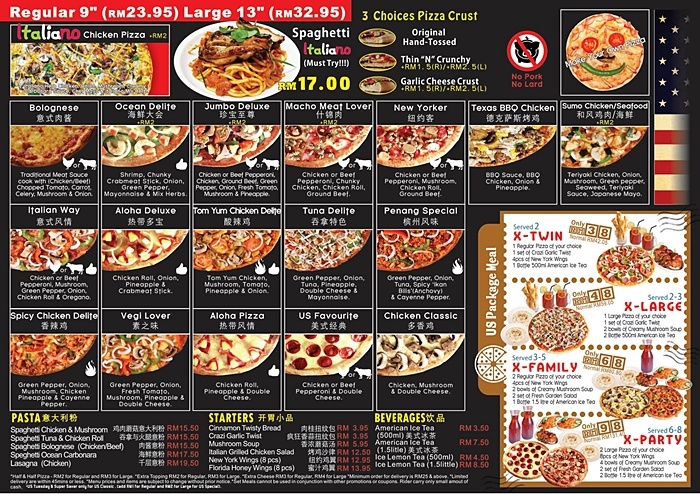 Here are the list of pizza we try Tuna Delight, Aloha Pizza, Tom Yum Chicken Delite, Ocean Delite, US Favorite, Vegi Lover, Italiano Chicken and Penang Special. 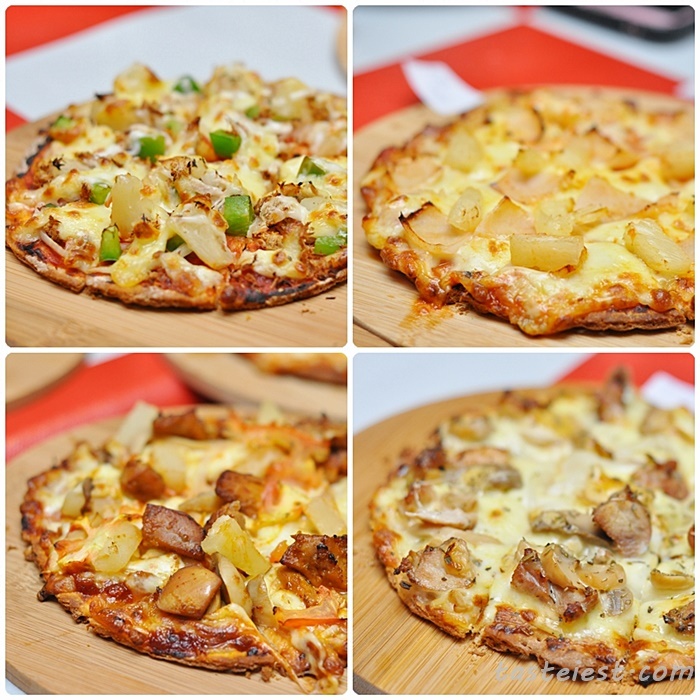 Highly recommended Tom Yum Chicken Delite although it is a little bit spicy but the spiciness is just delicious, it is a must try pizza. 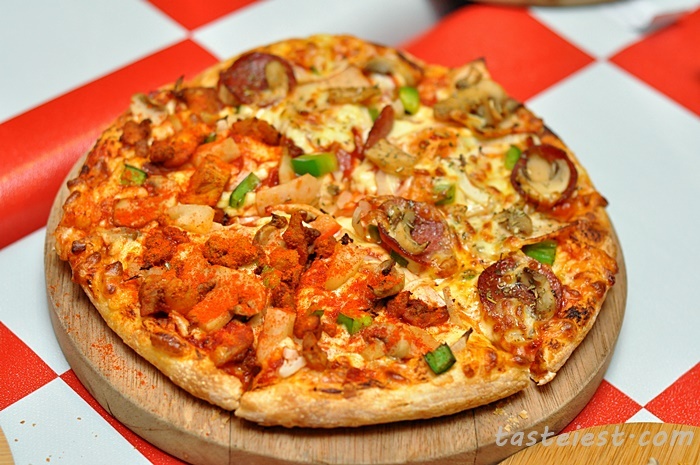 Half & Half RM27.95, 9″ hand tossed pizza crust that allow to have 2 different flavor on it. 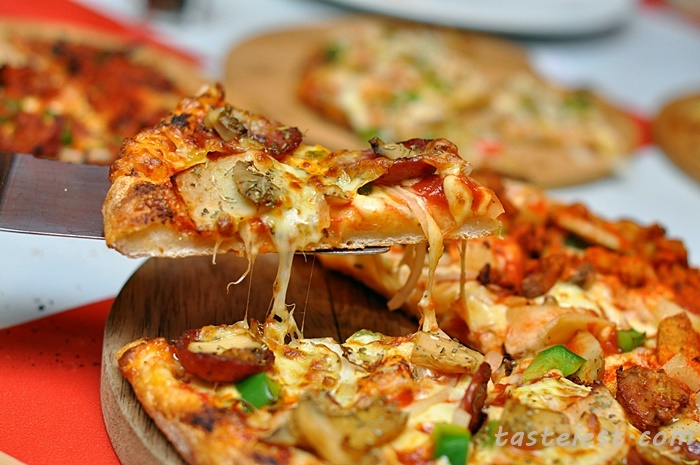 Crust is thicker than 6″ pizza, if you don’t like crispy crust then you have to try this. 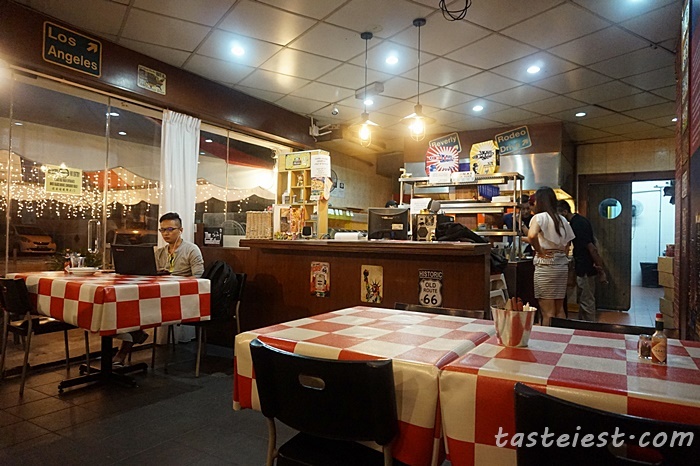 We had Italian Way and Spicy Chicken Delite. 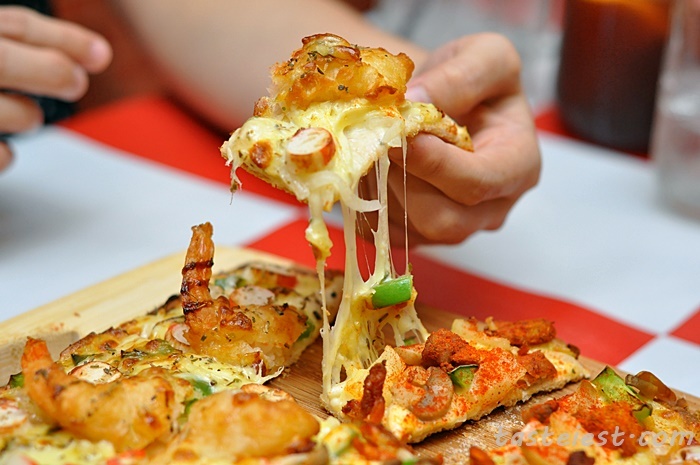 This type of crust are much more filling compare to crispy crust, or you may choose to have Garlic Cheese Crust/Thin N Crunchy (Additional RM1.5 regular/ RM2.5 large). 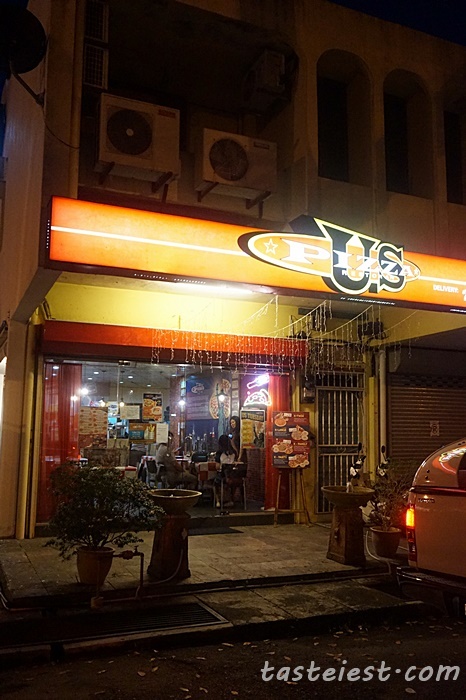 3D, Lorong Delima Satu, 11700 Greenlane, Penang.